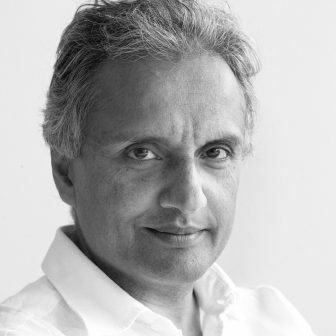 Sunand Prasad is co-founder of multiple award-winning London architectural practice, Penoyre & Prasad, which has gained an international reputation for distinctive architecture of education, residential, health, mixed use and civic buildings with a strong commitment to sustainable design. He was the president of the Royal Institute of British Architects 2007-09 campaigning for action on climate change, reform of architectural education and the promotion of the value of design. He was a founding commissioner of the Commission for Architecture & the Built Environment and has been one of the London Mayor’s Design advisers/advocates since 2008. He is a trustee of UK Green Building Council, the chair of Article 25, the disaster relief and development charity, and the chair of the Editorial Board of the Journal of Architecture. He is the author of a number of books, articles and broadcasts on architecture, on culture and on sustainability.